In Book One of the Seasons of Love series, newly divorced mom Lydia Powell is just getting back on her feet. Her college roommate’s wedding promises a much-needed getaway weekend with old friends, at a beautiful manor in Connecticut. When she meets Sam Forrester, a handsome friend of the groom, she’s nearly overwhelmed by a confusing mix of hope and trepidation. Their instant connection feels intensely real, to both of them, but the ink is barely dry on her divorce decree. It takes all her nerve, and more than a little prodding from her girlfriends, to convince Lydia to give her heart — and Sam — a chance. But when the magical weekend comes to a close, Sam must return to Chicago, while Lydia heads back to her complicated life and young son in New York. Can their newfound connection survive the trials of physical distance and years of emotional baggage? 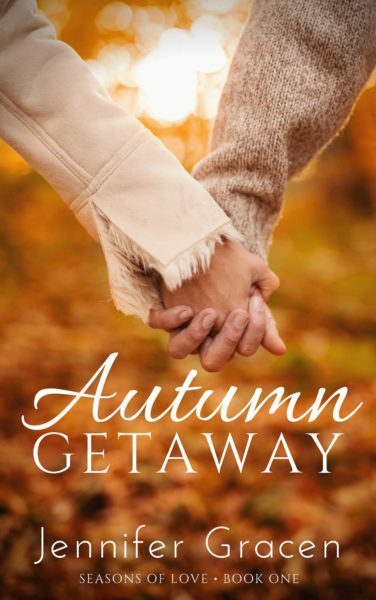 Written with an appreciation for the day-to-day struggles of a newly single mom, AUTUMN GETAWAY explores the burdens and blessings of family, revels in the spirit of friendship, and celebrates the power of romance and hope as Lydia and Sam take a second chance at love.